With glorious snow-capped mountains all around, beautiful and thriving waters to explore, and a small but tight-knit community of 3,000 residents, there’s a lot to love about the charming town of SewardAK. Most of the travelers who arrive at Seward are there for the breathtaking natural beauty, the enchanting local vibes, and the majestic wildlife that calls the area home. Are you eager to get a taste of what living during the ice age feels like? Located at the edge of the Kenai Peninsula, Kenai Fjords National Park allows visitors from near and far to experience just that with nearly 40 glaciers in the park. 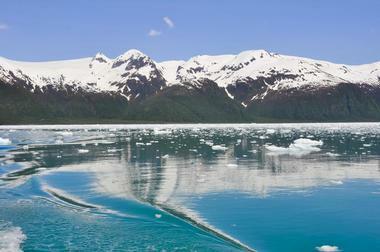 The glaciers all flow from the park’s crowning attraction, the Harding Icefield. 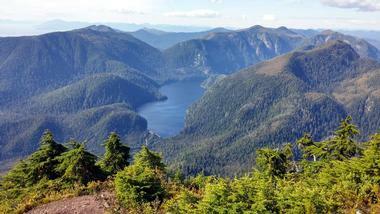 At this area, wildlife thrives in the form of lush forests, beautiful whales, and bears among others. Avid explorers can navigate the fjord’s waters on a boat tour, hike through a glacier, attend a ranger-led program, or even hike the entire 8.2-mile Harding Icefield Trail. For avid hikers and adventurous travelers, there’s a ton of beauty to behold at popular Mount Marathon. Famous for being home to a grueling racecourse, what many visitors don’t know is that there’s a 2.25-mile route to the top of the Race Point that is equally beautiful but much, much less demanding. The route takes hikers through three different trails, a glacial valley, and up to the top of the mountain’s east buttress. From this point, individuals who make it to the top can enjoy a mind-blowing view of Resurrection Bay and get a lungful of fresh mountain air like no other. Also known as Harding Gateway or Blying Sound, Resurrection Bay is situated 650 feet above sea level and is popular for being the gateway to the Kenai Fjords. Kayak tours, angler trips, and recreational boating are frequent activities at the bay, while water taxis regularly use the bay to access gorgeous Kenai Fjords National Park. The bay is home to six islands: Fox Island, Rugged Island, Hat Island, Hive Island, Barwell Island, and Cheval Island. Additionally, there are several coves for people to explore like Derby Cove, Humpy Cove, Porcupine Cove, and Halibut Cove. Among the many activities to enjoy at Resurrection Bay, some of the most popular include cruising through the beautiful waters and feasting on Alaskan salmon. Get up close and personal with Seward’s starring local inhabitants at the Alaska SeaLife Center, a premier public aquarium in Seward and the state’s only permanent facility for marine mammal rehabilitation. Situated on the shores of Resurrection Bay, the SeaLife Center is dedicated to studying and understanding Alaska’s marine ecosystems while also promoting proper stewardship of the state’s natural resources. The center’s exhibit features a touch tank where visitors are encouraged to touch marine invertebrates like sea urchins and sea stars. 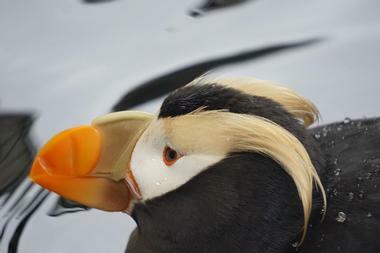 Meanwhile, the center’s gem of an aviary features a two-story diving pool and a great variety of seabirds to watch. Popular exhibits also feature harbor seals, giant Pacific octopuses, and Steller’s sea lions. Other notable exhibits are those housing the important fish of Alaska like the sablefish, halibut, and salmon. Let’s not forget the king crab exhibits either! Your port in a storm, Seward Harbor is home to a full-service port along with a 50-ton and 330-ton Travelift, vessel repair yards, power utilities, and more. 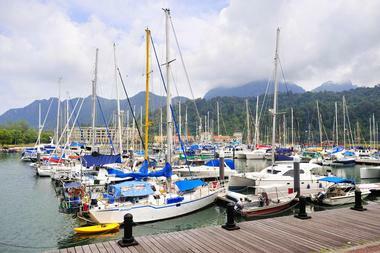 The port sees hundreds of vessels dock at their harbors, many of which are part of the commercial fishing fleet of the state. Long-liners, gill-netters and purse-seiners alike pass through the harbor, but what’s really special about this attraction are the over 100 fishing boats and tour boats that take adventurous souls on tours of the Kenai Fjords and beyond. Travelers can also spot the US Coast Guard Cutter Mustang, which proudly calls Seward home. Nestled in a small portion of the Resurrection Campground, Waterfront Park is a popular RV park and camping ground known for its breathtaking scenery. Seward Waterfront Park features spacious picnicking areas, a skate park, and direct access to the beach. Hikers will also love exploring the park’s trail, which is lined with local historical landmarks. Some of the landmarks found at the trail include the Old Railroad Depot, the Founder’s Monument, and Mile 0 of the historic Iditarod Trail. 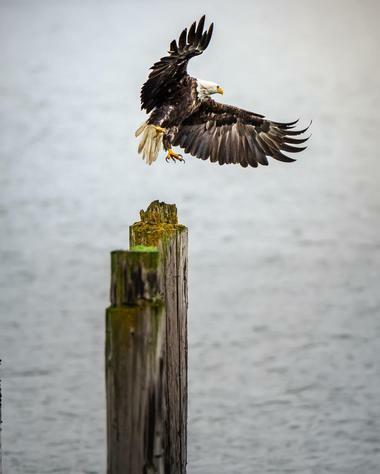 Exploring the trail also gives visitors ample opportunities to spot sea birds, bald eagles, sea otters, and the occasional harbor seal or sea lion. If you’re lucky, you may even catch a glimpse of a whale. Located at the eastern portion of Kenai Fjords National Park, Bear Glacier is the longest one in the national park at 13 miles long. Since it’s not a tidewater calving glacier, visitors can’t get too close to the glacier, but that’s not to say that isn’t just as gorgeous from a far. 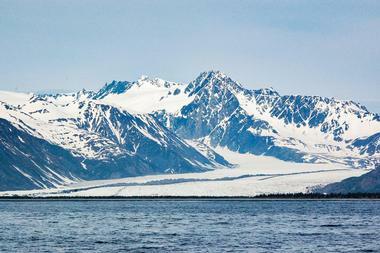 At the edge of the glacier, there is a 300 to 500-foot-deep lake that makes a beautiful sight to behold. Take in the majesty of icebergs floating around the lake or kayak through Bear Glacier Lagoon to get as close to the glacier as possible. Experience the absolute thrill of a treetop adventure when you take a trip to Stoney Creek Canopy Adventures. Situated right by the Chugach National Forest, Stoney Creek offers all those who visit the chance to have an aerial adventure in a sustainable and eco-friendly recreation center. 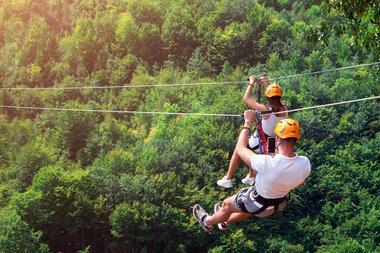 One of the most popular activities at Stoney Creek is the zipline tour. The tour is 3 hours long and takes adventurers down eight adrenaline pumping ziplines and along a woodland aerial walkway, which features unbeatable panoramic views of Alaska’s distinctive natural beauty. Guests also get the chance to immortalize their visit with a complementary photo package available on request. 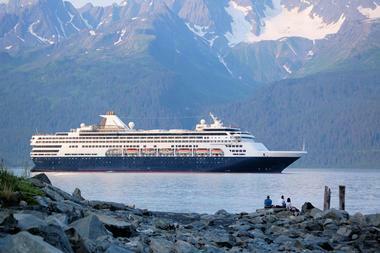 Have you always heard about Alaskan charm but feel like you don’t really know what that is? 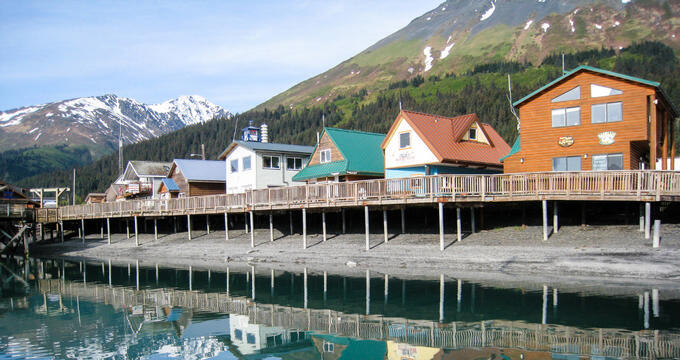 Well, you can bet your bottom dollar that you’ll experience exactly what Alaskan charm is at Miller’s Landing. Located between the Kenai Fjords National Parks systems and Lowell Point, Miller’s Landing in a popular campground that is surrounded by remarkable and awe-inspiring views of Resurrection Bay, Mount Alice, Caines Head, and even barrier islands like Hive, Rugged, and Fox Island. What’s awesome about Miller’s Landing is that it’s not crowded nor is it commercialized, so you can enjoy Alaska in all of its rugged beauty and glory. Spot a humpback or an orca from the beachfront, fish for salmon right along the shore, glimpse a sea otter cracking open some mussels or clams, or go a challenging hike. Whatever you decide, Miller’s Landing is going to be epic. Immerse yourself in the history of Seward and rub elbows with some of the town’s locals while at the Seward Community Library and Museum. 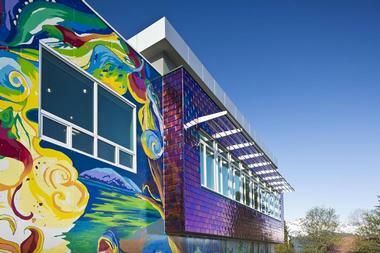 The museum was established in partnership with the city government and the Resurrection Bay Historical Society. Here, visitors can examine an entire collection of photographs, archives, keepsakes, and artifacts from the city’s history. Meanwhile, the library component of the building houses a huge collection of books, audiobooks, magazines, games, newspapers, and more for public consumption. Did we mention that the library’s got a fantastic view of Resurrection Bay for you to enjoy while you get some reading in? Dedicated to exploring, inspiring, and protecting Alaskan waters, Kayak Adventures Worldwide offers environmentally focused and educational sea kayaking tours for small groups. Locally owned and completely in love with what they do, tours with Kayak Adventures Worldwide are perfect for the adventurous in spirit who have a desire to learn about and appreciate the great Alaskan Wilderness. There’s no need to worry about experience either as all tours are open to all skill levels. Adventurers can choose between half day, full day, and multi-day trips that go to locations like Aialik Glacier, Caines Head, Fox Island, and Bear Glacier. 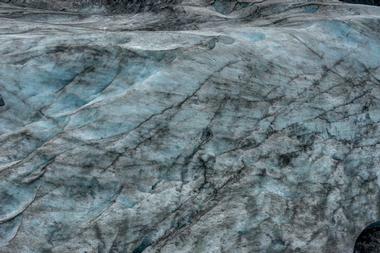 We can’t deny that there’s something utterly breathtaking and magical about exploring glaciers. When it comes to Seward, there’s no better place to turn for an unforgettable glacier experience than Exit Glacier Guides. Locally owned and dedicated to affordable eco-tours around Exit Glacier National Park, Exit Glacier Guides offers ton of adventure packages to suit your tastes and preferences. 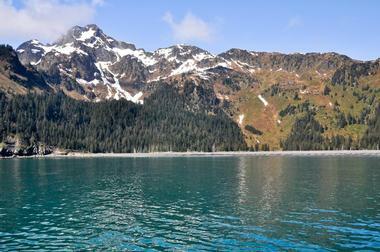 Head to Aialik Bay or Resurrection Bay for some Kayaking, or get some iceberg paddleboarding in for the day. Want to go on a glacier hike or participate in ice climbing, alpine hiking, or camping? They’ve got you covered as well! Stop by and check out what they’ve got cooking for the week to plan the adventure of a lifetime. If you’ve got a serious hankering for the best oysters in town, then look no further than The Cookery. 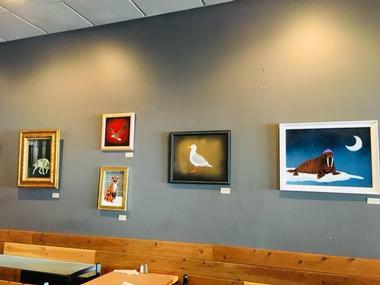 Aptly located in the heart of Seward, The Cookery is a town favorite because of their commitment to showcase the work of the fisherman, rancher, farmer, brewmaster, and winemaker all in one menu. While their menu is definitely filled with some mouthwatering delights, nothing hits the spot quite like their magnificent oysters. Have them served ice cold on the half shell or enjoyed them chargrilled with some garlic butter, depending on your preference. The Cookery guarantees their freshness as each day as they get the best oysters available from local oyster farmers delivered within a few hours of their harvest. 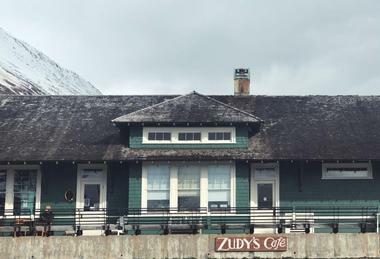 Located right across of Seward’s SeaLife Center is the remarkable Zudy’s Café. Operating under the motto “Take Time for Cake Time,” Zudy’s Café dishes up delicious treats alongside some of the best cakes that the town’s ever tasted. They specialize in a handful of varieties of cheesecake, classic carrot cake, Key lime pie, and mud pie as well as a few assorted dessert bars. Additionally, they’ve also got a great recipe on hand for a delicious and impressive wedding cake. If you’re stopping by for lunch in addition to a bit of dessert, you can take a gander at their “Blackboard Menu” to take your pick from their daily specials – all of which are changed and adjusted based on what’s available fresh in the market that day. We bet you didn’t know that you could sink your teeth into some authentic Bangkok-style food in Seward. At Woody’s Thai Kitchen, you can get all the Thai curries, soups, rice dishes, and noodles that you could ever crave for. Even better, we’re pretty sure that each bite will transport you right to Thailand with its intense flavors. The menu of Woody’s Thai Kitchen features a mix of mild and spicy dishes while also offering vegan options to make sure that every person can enjoy something on their menu. Even better? 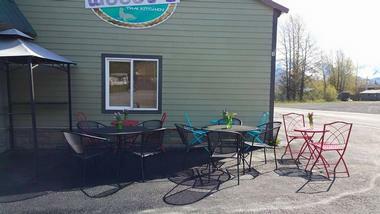 Woody’s Thai Kitchen also features an Alaskan microbrewery that offers visitors a great selection of craft beers to try.